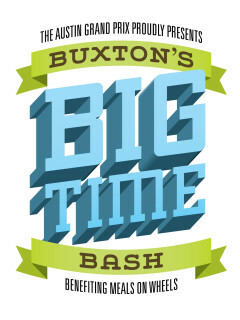 Kick off your grand prix weekend with The Austin Grand Prix and Will Buxton at the Big Time Bash benefiting Meals on Wheels. Buxton, motorsports journalist and Formula One reporter for NBC, will host a lively evening for fans welcoming motorsport personalities, sharing insight into the world of racing and passing out exclusive racing memorabilia as door prizes. This year guests will also be treated with the fan premiere of "The Road to Mercedes," the story of the German car maker during the year it won its first Formula One Constructors championship. Your $5 suggested donation at the door goes to Meals on Wheels.